We all need extended times regularly to take a break, relax, refresh, and then look at what we’re doing with clear and fresh eyes. 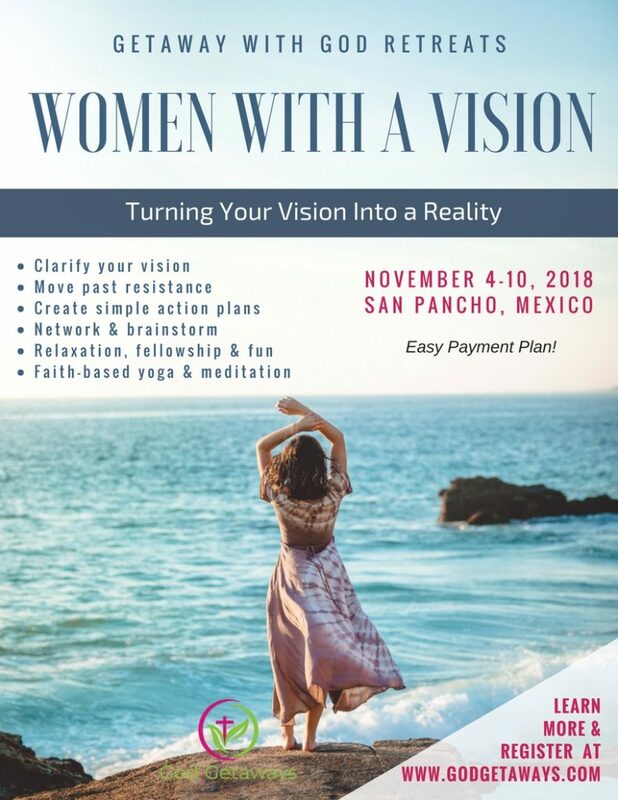 If you have a business or even an idea for one, join me and several other women on a adventure of a lifetime where we will collaborate, rest, work, play together, visualize, and meditate, as we discover what we need to take our vision or ideas to the next level. The focus of this retreat is about creating, tuning into, clarifying your vision, and learning how to keep it alive. In addition, you’ll learn tools on how to move past resistance, release the blocks that might be hindering your success, and create simple action plans around what you want to accomplish. It’s also important that we do periodic check-ins to make sure that our vision, business, life, and goals are in alignment with our values, God’s purpose for us, and how we want to feel and be in the world. 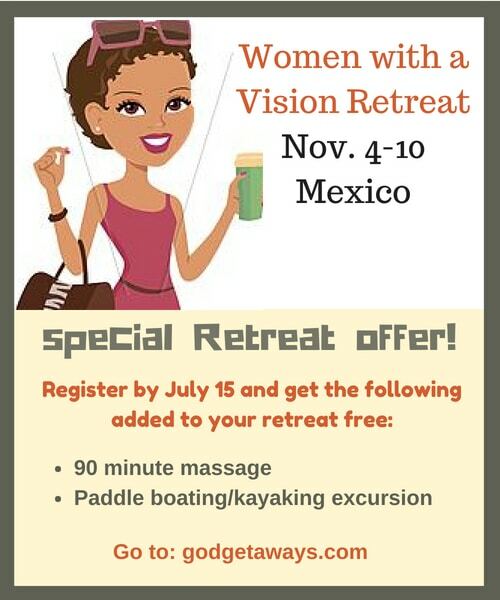 The Women with a Vision Retreat is also about building your vision or dreams on a spiritual foundation. Too often we strive and compete for what we want to accomplish. When we get too focused on the outcome instead of the journey, trusting God, and providing loving service to others, we try to make things happens in our own way and time. When working from a spiritual perspective first, we stay centered on what matters most. Next, we must learn to be still, listen, and obey our internal promptings. Have some new ideas and would like the feedback of others? Here you’ll find a safe space with other like-minded women who want to help you succeed. We’re also incorporating time each day to actually work on different aspects of vision ideas like writing, planning, and brainstorming. You may even find some women you want to collaborate with for future endeavors! If that sound like “awesomeness” to you, you’ll love this Christian meditation retreat located in the beautiful countryside of San Pancho, Mexico. You’ll spend time connecting with God and dwelling in his transformative presence. You’ll be able to break free from the distractions and busyness of life so you can relax, release, and reset your life as well as your business goals. 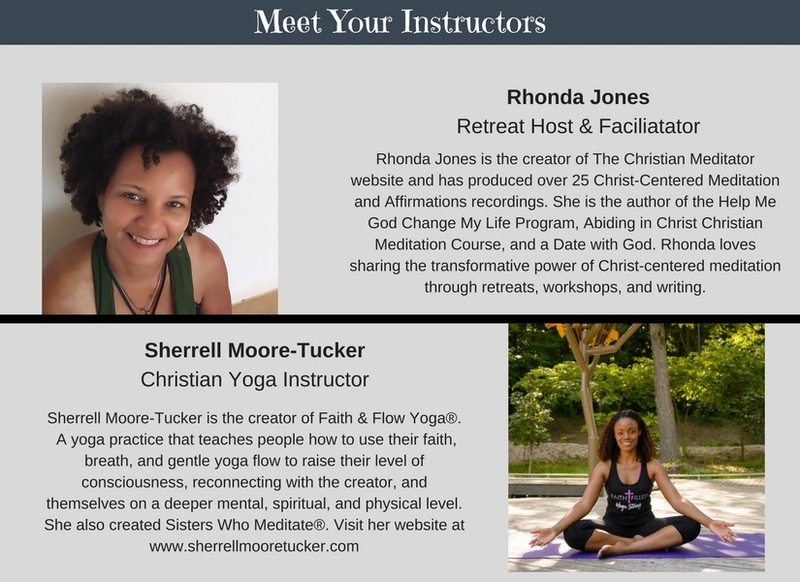 You’ll also enjoy Christ-centered yoga (see our guest teacher bio below) and variety of other activities to transform your heart and nurture your spirit. Is this retreat only for Christians? One thing you should know about me is that I am a disciple of Christ and a lover of Father God’s Living Word, but I am not into religion, tradition, or a lot of man-made rules and regulations. Yeshua told us to share the good news and to love one another. I believe that true transformation happens in the heart as we learn to personally connect with God through our inner spirit. My desire is to support you in your personal and spiritual development by being led by the Holy Spirit within. I don’t have the answers, but Father God does, and you can learn to access his wisdom in the right environments (internally and externally) and with the right tools. If you’re about uplifting your mind, body, or spirit, this retreat is for you! I’m all about healing, transformation, love, and light! Daily topic specific workshops that will transform your life, business, and relationship with God. Transportation to and from airport and local group activities. Coming alone? No problem, you’ll be matched up with a roommate. Choose between double (shared room) and single room occupancy in delightful bungalows nestled in the mountains amongst the trees. Payment plans are available. Fifty percent of retreat payments are due by July 1, 2018 and the full balance September, 2018. PLEASE get travel insurance when you book your trip. There’s more information below. If you are coming with a roommate, just email me or add their name in the payment comments section. There is only ONE room available for single occupancy. This trip is the perfect way to relax, release, reconnect, and re-energize. Come and get refreshed in God and learn how meditating on Christ and the Scriptures to deepen your relationship with God, help you let go of stress, grow more spiritually, and maintain your peace of mind even during times of crisis. This GETAWAY WITH GOD Christian Meditation Retreat is going to teach you the life-changing practice of Christ-centered meditation, a spiritual practice that many Christians have never done before, but that is encouraged throughout the scripture. Joshua 1:8 tells believers that it is through meditating on Christ that we gain true success in life. Yet not the success of the world, the success of a loving, joyful, and thriving relationship with Jesus Christ. This Christian Meditation Retreat will Change Your Life Forever! 8:30- Evening Activity: Gentle Candle-light Yoga, Soaking in God’s Spirit, Praise Flags Worship, Prayer Circle, etc. Please select accomodation type and then click on “PAY DEPOSIT NOW” links below to make your $350.00 retreat deposit. You can view accommodations at the TailWind Website. Deposit of $350 reserves your spot for the retreat. Please select your accommodation type and reserve above. Retreat rates are per person. Please read the “Find out if this retreat is for you” before you register (see below). Double occupancy (shared room). Single (room alone). If you are coming with a friend, please include name when signing up. Any questions, contact me a thechristianmeditator@yahoo.com. Please leave your contact information. Upgraded Double Rooms includes the Casita Pumita that has 2 bedrooms that sleep 4 or two per room. You have many options to make retreat payments: deposit, full payment, payment balance, and installment payments. Choose what works best for you. After making your deposit payment, please use the full balance or installment buttons to make future payments. Please not that 1/2 of retreat payments are due by June 31 and remainder by August 31. Cancel before June 31 and receive 50% refund of retreat payments (minus deposit) and 100% if we can fill your spot. FIND OUT IF THIS RETREAT IS FOR YOU? You have a business or vision you’d like to grow or develop. You have a genuine interest in Christian meditation and want to deepen your practice and spend time connecting with God in a quiet and serene location. You love meeting and getting to know new people. You desire to grow spiritually and are open to participating in workshops and instructor-lead activities that will move you toward this desire. You enjoy walking, eating healthy foods, and trying new things. You have an open heart and mind and enjoying sharing the love of Christ. You want to incorporate fun activities and some socializing while also addressing your spiritual needs. You need internet access and technology to stay sane. We want you to leave the world of technology behind for a few days so you can focus on others, yourself, and your relationship with God. You will want to bring your computer, but internet access will be very limited. You are looking for “mostly” a FUN-FILLED vacation! 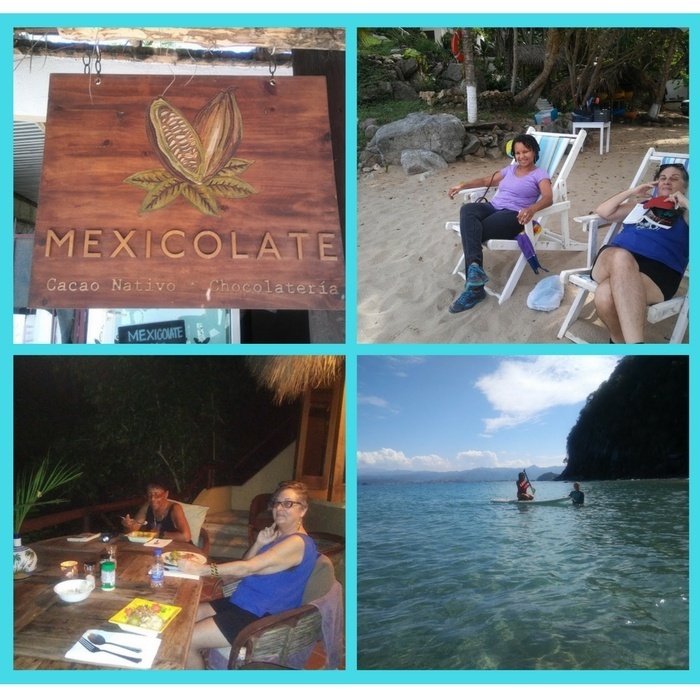 Although we are planning some optional and group activities during our free time (hiking, paddle surfing, and even kayaking) our main priority will be to cultivate a life-long Christian meditation practice and build upon or develop our business or business ideas with the support of other like-minded women. You are NOT in good physical condition or you find walking difficult. There is lots of walking and steep stairs! You’re looking for the luxury amenities of a 4 star hotel. Stepping out of your comfort zone just isn’t your thing. You don’t have any type of business, vision, or idea to work on.